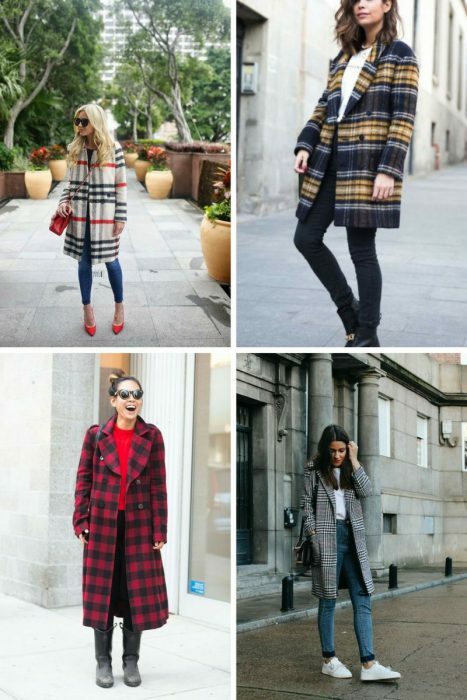 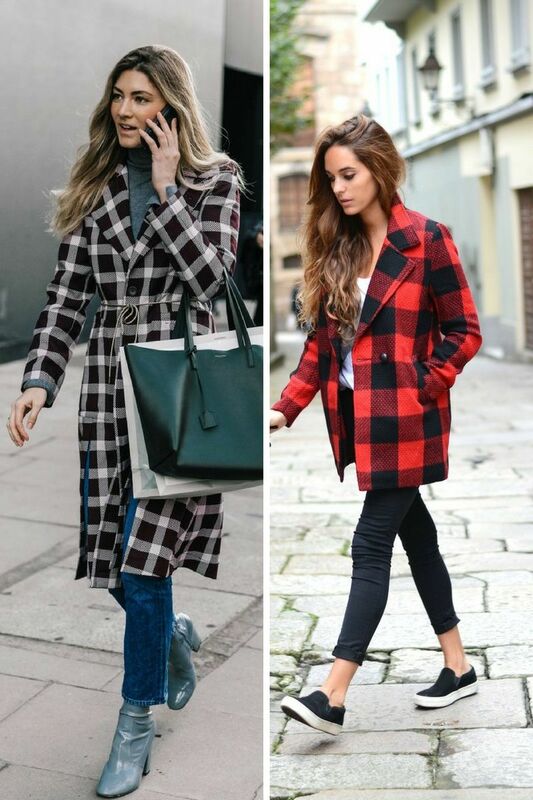 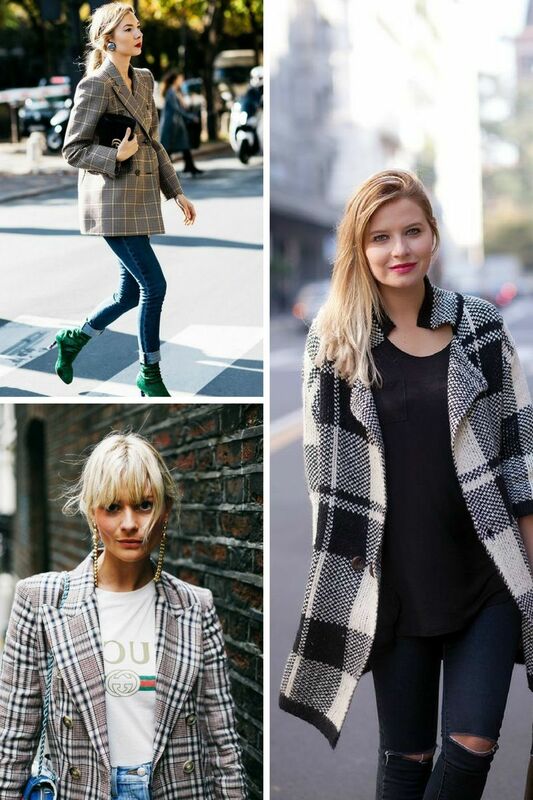 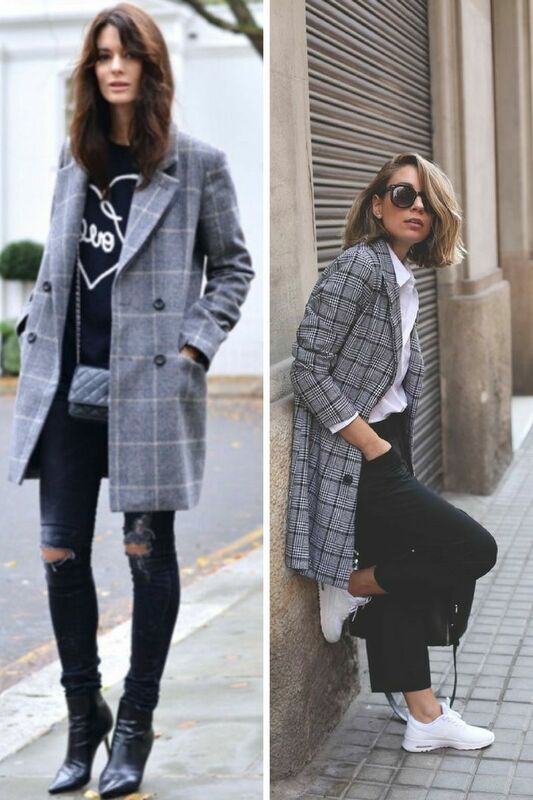 Those of you who wear monochromatic clothes to work, then a plaid coat is a perfect choice for making your outfit look less boring. This pattern can be found in versatile styles and colors, plus you are free to choose whatever coat style you like, just make sure to style it the right way. 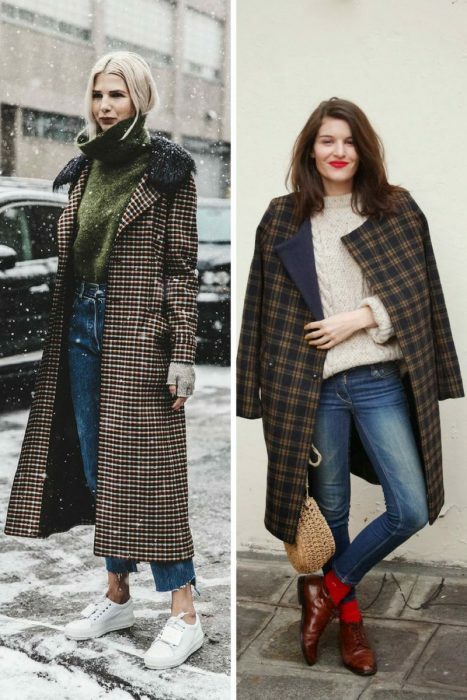 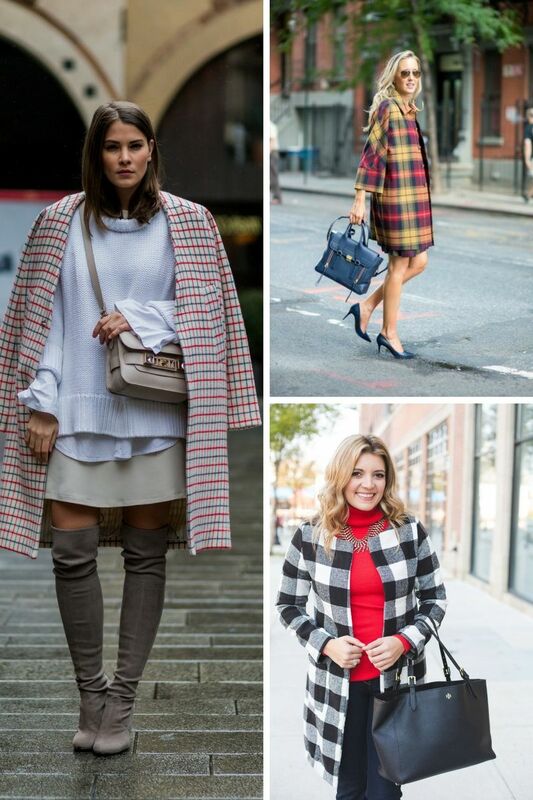 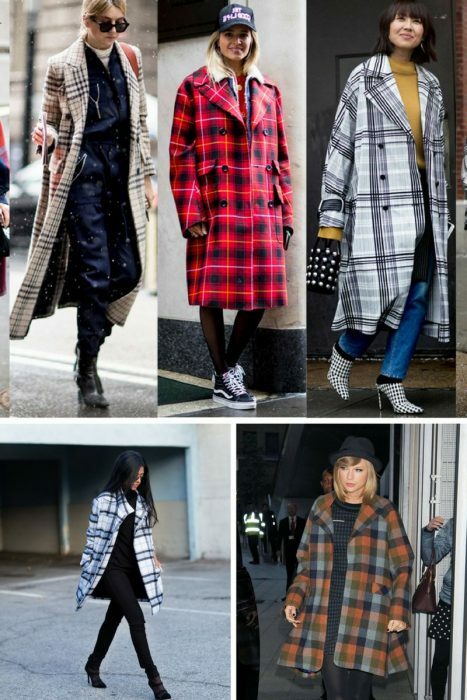 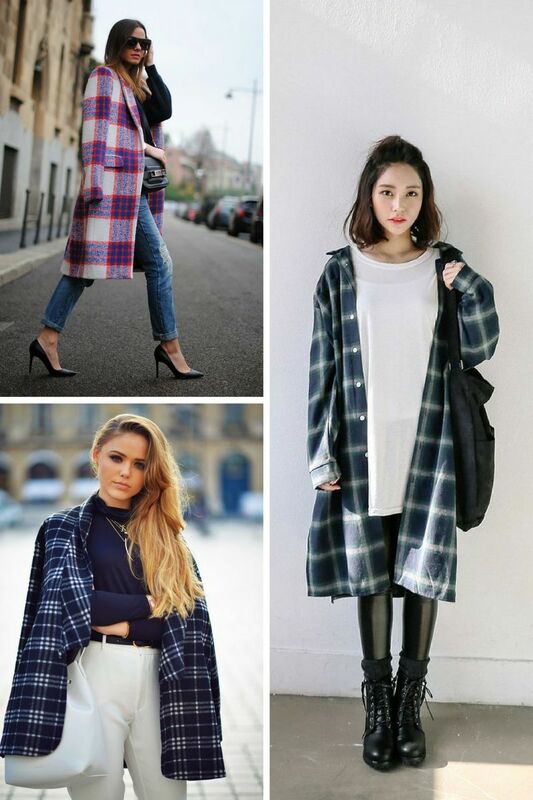 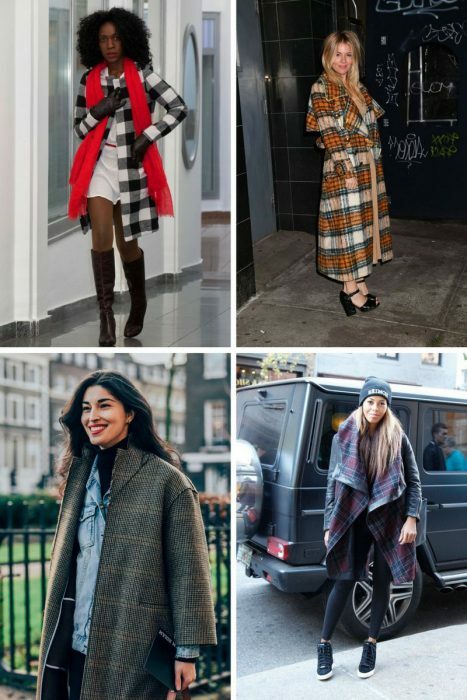 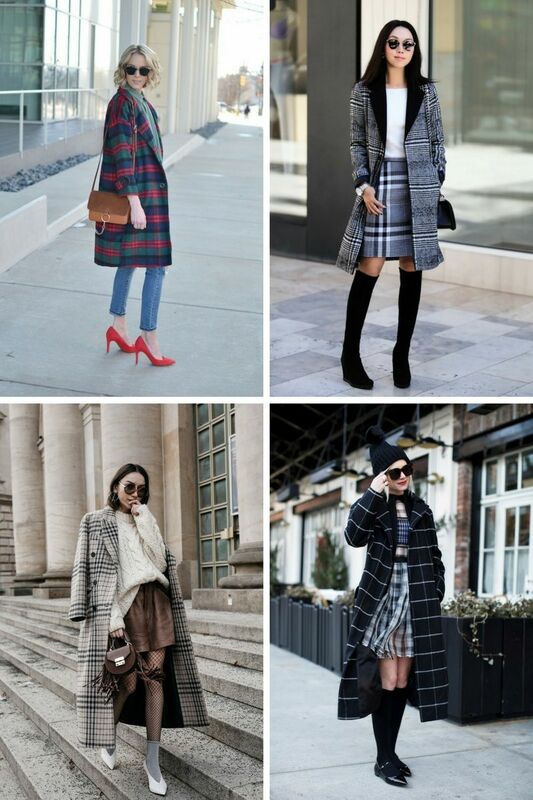 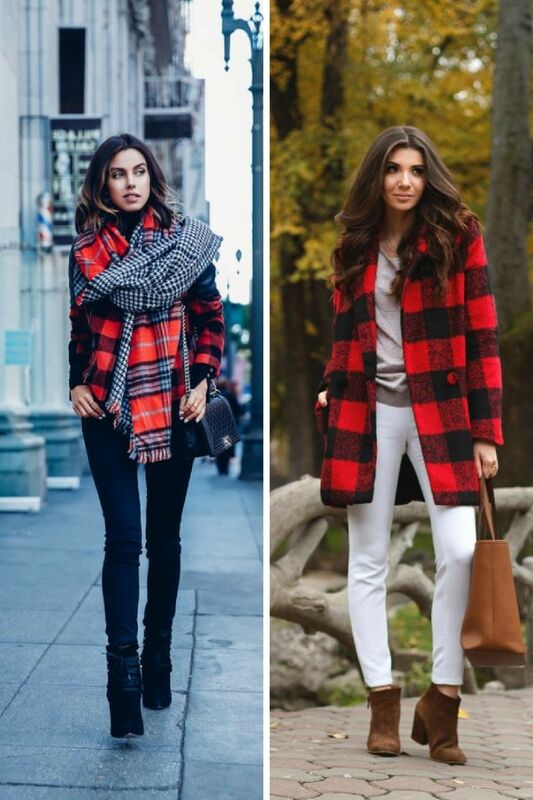 As I have already mentioned, neutral color clothes worn underneath plaid coat are the best to underline your unique look. 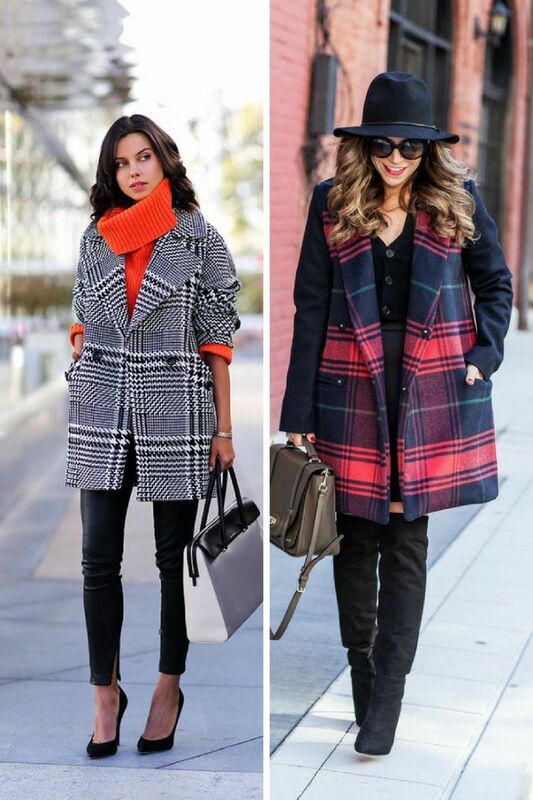 For instance, a black colored sweater, black skinnies with the same black color suede OTK boots look awesome covered with a black wrap coat in white plaids. 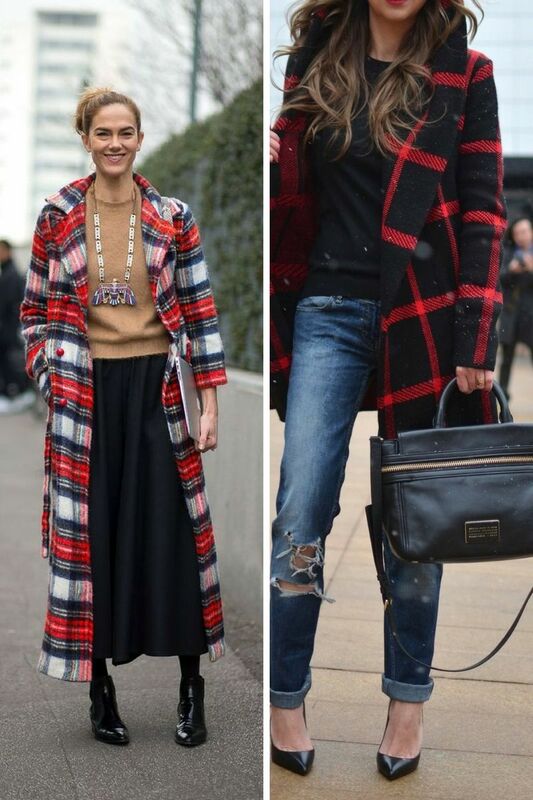 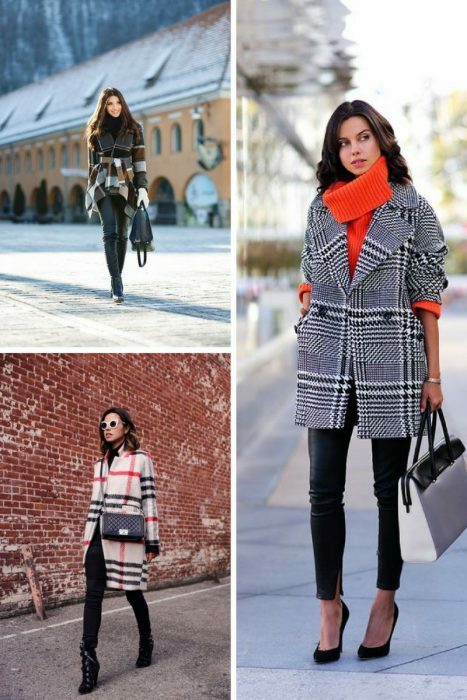 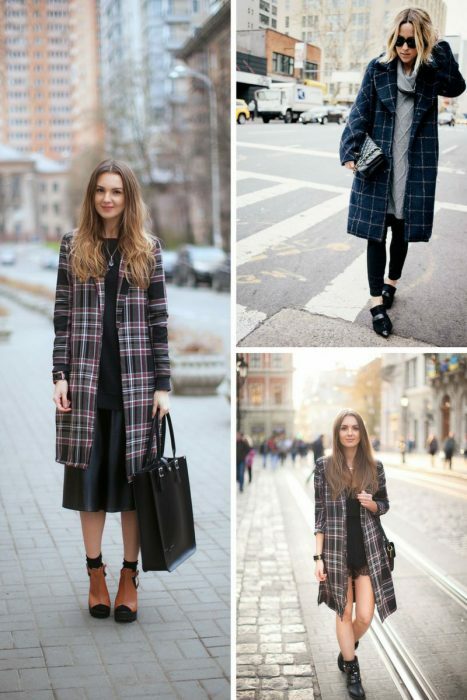 As you can see, a plaid coat can easily add that special pop of color to your monochromatic outfit. If you decided to wear colorful clothes underneath, then you should make at least one color of your coat match your outfit. 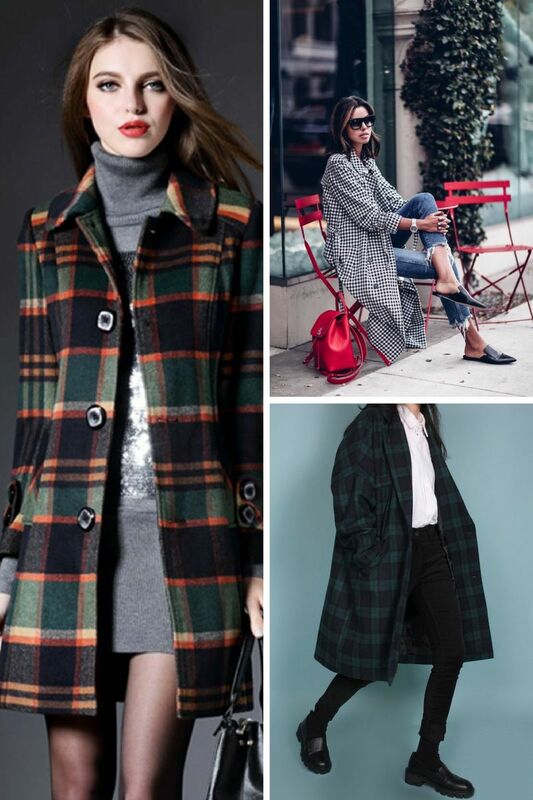 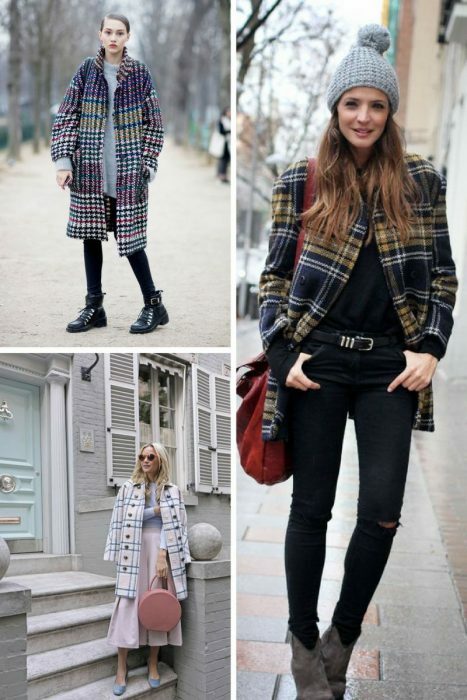 A dark-colored combination is perfect for Winter days, and light, bright pastel color plaid coats are great for Spring, but you can use them during Winter days to brighten up cold days.